Events that led to the resignation of former President Robert Mugabe were not a military takeover, but a spontaneous reaction by the generality of Zimbabweans who demanded change, and the subsequent holding of free, fair and credible elections will endorse the process, Foreign Affairs and International Trade Minister Lieutenant-General Sibusiso Moyo (Retired) has said. Minister Moyo said this at a reorientation workshop for Zimbabwe’s heads of diplomatic missions yesterday. He said the coming elections would be held in a peaceful environment as promised by President Mnangagwa, adding that observers from across the world would be invited. 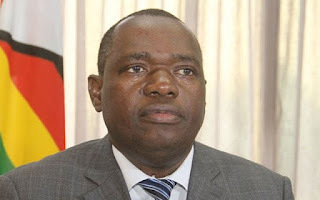 “The key barometer which is going to put this country to test is the delivery of an election which is to be free and fair,” Minister Moyo said. He said there was no military takeover, but a people-centred cusp for change. “It (change of Government) was a spontaneous reaction of the people of Zimbabwe. I know this is a question you are normally going to be facing,” Minister Moyo said. He said the new Government had received support from major international organisations throughout the world. “Ambassadors, our people’s peaceful nature were therefore put on display during the recent political transition and this positive trait has been applauded throughout the world. Sadc has praised the peaceful transition; the AU recently has embraced this peaceful transition and therefore there is full legitimacy of this current Government to complete the term of office,” he said.